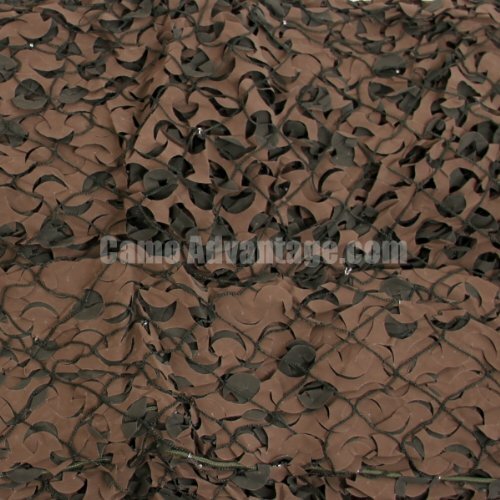 Authentic CamoSystems High Quality Camo Netting. 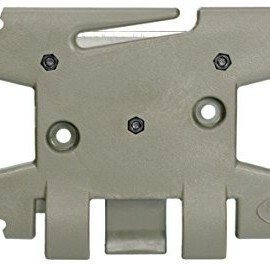 We are an authorized dealer for CamoSystems. Beware of imitation camo netting listings. 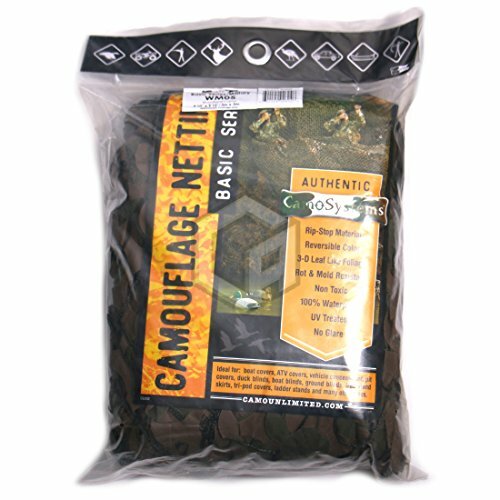 If you order CamoSystems camouflage netting, make sure it comes in the packaging in our photos. This netting is manufactured using the Premium Woodland Series Camouflage Netting which has olive green on one side and brown on the other. The netting is manufactured to appear 3D and has cuts in it that allow both colors to be seen. This pattern of netting is one of our most popular and blends well in most wooded areas or forest types of environments. The Military Series of Camouflage Nets has a structural mesh net added to the underside of the netting, This improves the strength of the netting and allows it to span larger areas. 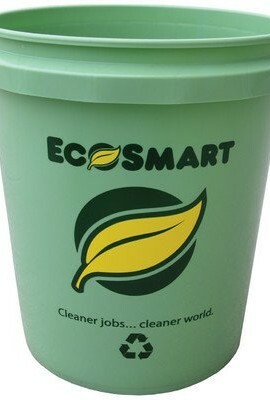 The outer edges have a heavier cord to allow for ease of placement. Available in 10′ x 10′ size. 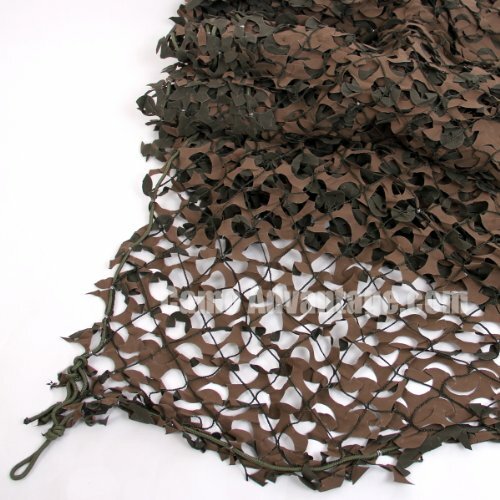 Authentic CamoSystems High Quality Camo Netting. 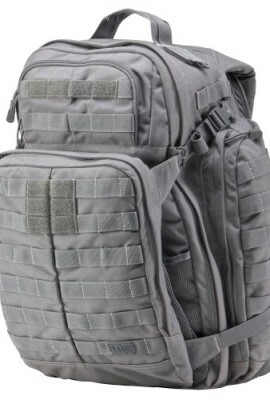 We are an authorized dealer for CamoSystems. Olive green on one side and brown on the other.